Today, on International Owl Awareness Day (August 4), we celebrate the research we have done to better understand owls and their prey. There are over 200 extant species of owls, a handful of which have geographic distributions spanning several continents (i.e., barn owl, snowy owl, short-eared owl, long-eared owl). So no matter where you are in the world you’re probably not too far away from an owl. Ecologists and paleontologists have taken advantage of this to study owls and their prey. One of the most widely used methods for this is collecting and dissecting owl pellets. 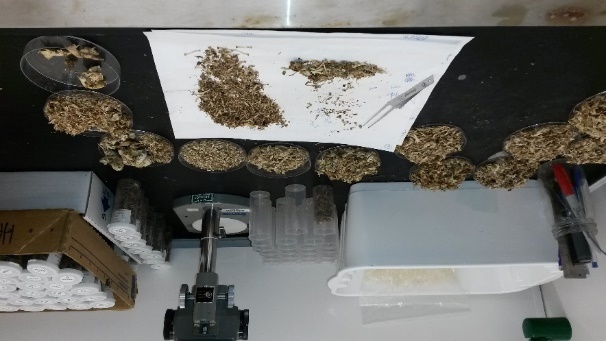 We discuss some of the major benefits of studying owl pellets in our recent Methods in Ecology and Evolution Review article ‘Owl pellets: a more effective alternative to conventional trapping for broad-scale studies of small mammal communities’. How Do Owls Detect Their Prey? Owls are mostly nocturnal with morphological adaptations to help them detect prey in almost complete darkness. Owls have many common visual adaptations for better sight at night – including enlarged eyes, increased sensitivity to low light conditions, and increased depth perception – but they also rely heavily on their hearing. Most notably, owls have a facial disk that funnels sound towards their large ear openings for better sound detection, and asymmetrical ear placement on the skull to better detect directionality. Konishi tested the efficiency of these features with a series of experiments in 1973. He used barn owls trained to hunt prey on command to test how well they can detect and locate prey in complete darkness. His studies showed that barn owls have incredibly sensitive hearing, picking up sound frequencies that are undetectable to humans at the same distance. He also found that owls can distinguish between different prey types based on the sound frequencies they make while mobile, allowing them to strike those prey dead-on relying entirely on what they hear. This and other experimental studies show that owls are very tuned-in to the movements of their small mammal prey. What are Owl Pellets and How Do We Use Them? Although owls’ prey detection is very precise, their digestion is much less effective. Owls tend to swallow their meals whole or in large chunks. Only the soft tissues are digested while the fur, bone and teeth are regurgitated as compact pellets. These pellets accumulate under nests and especially roosts where owls rest during the day. This can result in staggering accumulations of pellets representing the owl’s diet during an entire breeding season, lifespan, and – in cases where the same permanent roost has been occupied by hundreds of individuals over thousands of years – millennia. 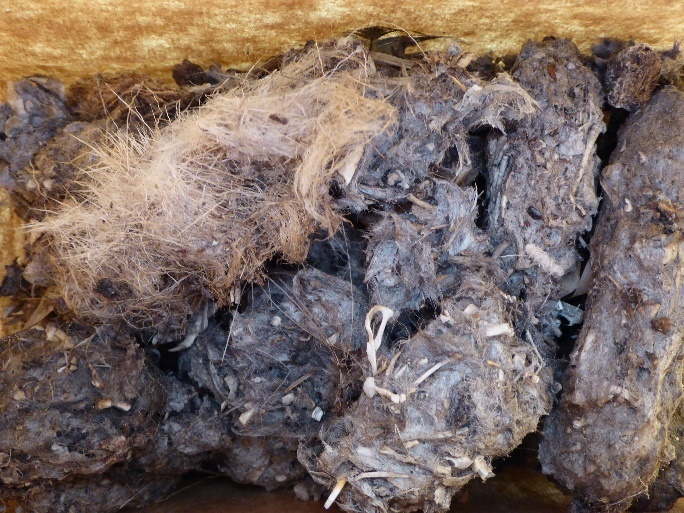 Great horned owl pellets collected in a brown paper bag. © Leanne Heisler. Ecologists and paleontologists collect these pellets, dissect them, and identify prey species based on diagnostic traits of the bones and teeth. We can estimate the abundances of each prey species by summing the most commonly preserved skeletal pieces (skulls, mandibles and teeth) in the pellets. These abundances are then used to make inferences about the owl’s diet as well as the ecology of the prey themselves. Paleontologists take this methodology one step further by excavating pellet accumulations as fossil beds and use soil stratigraphy and radio-carbon dating to identify when each layer of pellets was deposited. Once the period of pellet deposition is identified for each layer, a temporal sequence of change in small mammal diversity can be pieced together for that particular roost (e.g., Grayson et al. 2000). Pellet accumulations provide an incredible wealth of information about both owls and their prey. They’re a window into the diet of owls. There is an extensive body of literature examining what owls eat, how selective they are when they hunt, which habitats they hunt in, and how their diet changes across time and space. Owl pellets are also used to identify differences in diet between populations of the same owl species (e.g., Birrer 2009) or between different owl species sharing similar habitats or ecological niches (e.g., Jaksic & Marti 1984). Ecologists have also used pellets to identify how owl populations respond to changing prey diversity (i.e., numeric or functional responses). Specifically, some owl species tend to raise more offspring in years where small mammal prey is more available. This results in regional small mammal irruptions followed by short-lived surges in owl populations. Small mammal prey remains from great horned owl pellets, ready for identification and quantification. © Leanne Heisler. Ecologists have also used owl pellets to study the small mammal prey themselves. The diets of most owl species are comprised primarily of small mammals, making pellets an excellent source of information for these species. Owl pellets have been used to assess small mammal diversity across different habitats, ecozones, and ecosystems (e.g., Heisler et al. 2013). DNA extracted from small mammal bones and teeth in owl pellets is a recent technological advance furthering studies of small mammal diversity through genetic barcoding. These studies have identified new species never before recorded for particular regions in scientific literature. They have also recorded range expansions and contractions of some small mammal species, including exotic or rare species (e.g., Clark & Bunck 1991). Some ecologists, including myself with my recent review in Methods in Ecology and Evolution, also advocate for the use of owl pellets to monitor small mammal diversity across broad spatial and temporal extents. Several country-wide owl pellet monitoring programs are doing so already, including the Mammal Society’s National Owl Pellet Survey across the United Kingdom. These programs and studies similar to them assess the impacts of environmental change on small mammal communities, such as climate change and land use activities. Paleontologists have a lot more faith in estimates of small mammal diversity from owl pellets, and often use them as a proxy for the prevailing environmental conditions during the period of pellet deposition. Small mammals typically have small home ranges, limited dispersal capabilities and high reproductive potential – all facilitating rapid responses to environmental change. It is no small wonder to me that owls are symbols of wisdom in modern western culture. Studying them has allowed us to learn about not only owls themselves, but also small mammal ecology and past environments. Yet there is still so much we have to learn from them! So today we raise awareness for owls and owl research and show our appreciation for the owls that are likely hunting not too far away us. To find out more about the studying owl pellets, read our Methods in Ecology and Evolution Review article ‘Owl pellets: a more effective alternative to conventional trapping for broad-scale studies of small mammal communities’. This entry was posted in Methods papers and tagged Abundance, biodiversity, community ecology, International Owl Awareness Day, Owl Pellets, Owls, Paleoecology, Paleontology, Small Mammals by Chris Grieves. Bookmark the permalink.